I’ve asked my parents for a credit card at college. Can you explain why it's a good idea? There are two ways you can get hold of a credit card. First, you can get a card in your parents’ names and they bear responsibility for the bill. Second, you can have one in your name. There is a big difference between these two options, and your parents may be reluctant for your own protection. The first thing you need to ask yourself is, “Do you want to be able to spend money you don’t have at a high interest rate?” This is essentially what a credit card enables you to do. 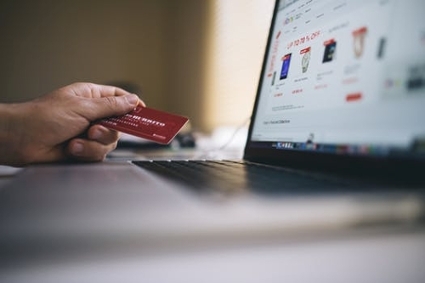 As ecommerce has become more prevalent, it has become difficult to function in today’s society without a credit card. The ease of making payments without physical cash has increased the appeal of credit cards for younger people who spend more time on the internet. However, our consumer-driven media and largely materialistic society has made spending without thinking a perilous norm. Your first taste of freedom at college will also come with a bit of financial independence. It can also bring debt and more responsibility than you are used to. According to recent reports, 32% of students had a zero balance and 46% had less than $500 on their credit cards. A balance of over $4,000 was carried by 2% of students, but generally high balances have declined over the years. This has been driven largely by an increase in grants and scholarships. Further studies claim that this year, almost 60% of undergraduates said they had a credit card and 30% claimed to be in debt with an average balance of over $2,500. Many argue that having a credit card allows students to manage their finances and debt load, build up a credit rating, and learn to pay bills on time. Students must also learn to monitor their statements and understand chargeback procedures which are the return of funds to a customer, forcibly initiated by the issuing bank of the instrument used by the customer to settle a debt. Loan consultants Credit Cube suggest that students learn about their credit scores early in life. Your FICO score will govern your ability to secure larger loans for things such as cars and houses. Paying off a little credit card debt every month will help maintain a healthy score. Conversely, skipping payments can make your debt situation a whole lot worse, so with credit comes responsibility. If your parents do let you have a credit card, you should allow them to teach you how to use it. This applies whether it's in their name or yours...the principles are the same. Lessons learned now will help you later in life when you are earning your own salary and managing your own finances. Be aware though that your credit card debts will be a lot smaller compared to your student loan debts, so it pays to be very cautious. Credit cards can be very handy for online purchases, but do not get carried away spending money you do not have. Credit cards are like snakes: Handle 'em long enough, and one will bite you - Elizabeth Warren.